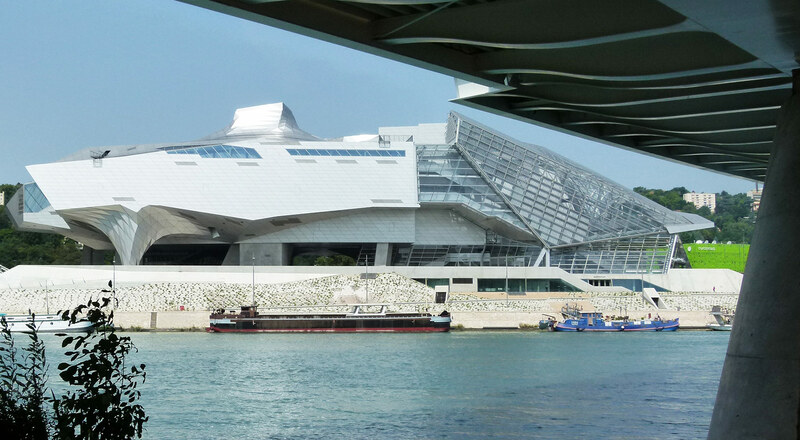 The Musée des Confluences stands at the point where the Rhône and Saône rivers converge in south-eastern France. With its 40 metre-high crystal structure, the museum, which opened a year ago in Lyon, aims to replicate the success of Bilbao’s Guggenheim in the French city. The ‘crystal cloud’, as it is popularly known, was constructed amid controversy over building delays. Austrian architecture studio, Coop Himmelb(l)au, a leader in deconstructivist architecture, was awarded the project in 2001 and, although the building permit is dated 2003, construction did not get underway until 2010, with the museum eventually completed in 2014. The delays were mainly the result of complications regarding the former gasworks site, together with the building’s unique design, which saw costs escalate to a sum four times higher than originally budgeted. Despite the problems during construction, the building, which weighs in at 6,000 tons, has only taken one year to establish itself as one of Lyon’s most distinctive landmarks, thanks in part to its spectacular design. At 190 metres long and spanning an area of 8,700 square metres, the glass and concrete cloud houses a museum, two auditoriums, private spaces for groups and the museum’s private areas. The Gravity Well at the heart of the building serves to support the metal structures and stabilise the glass in a construction that appears to float in the air. The space resembles a spaceship, with an almost science fiction style and an interior where space and light are used with great fluidity. Technically highly complex, the museum consists of a main structure which forms the supporting plinth over which a frame structure is positioned, which supports the whole of the cladding of the facade and roof. The building, which features 12,150 nodes and 88,200 struts mounted along with other elements that together total 650,000 pieces, seeks to establish itself as a dynamic force in Lyon.